A goal in each half from Emeka Atuoloma and Guy Kuerman gave Rivers United a 2-0 win over Rwanda’s Rayon Sport in the CAF Confederation Cup. In front of a poor crown estimated at 2000, a far cry from the more than 12000 that watched the last game against El Merriekh, Emeka Atuloma against all odds scored in the 30th minute of the game. 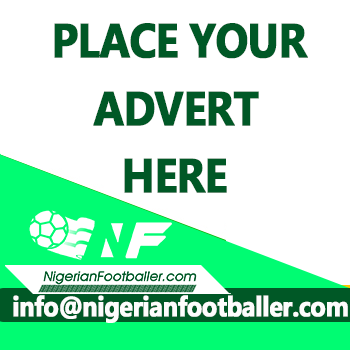 After some pressure from the home lads, Atuloma connected a cross from Ifeanyi Nweke and his soft jab was enough to beat goalkeeper, Eric Ndayinshe. In the 51st minute, a Kuerman got a wonder of a goal when he found space from outside the box and chipped the keeper from distance. Kwisera Perrot had shot wide after good work from Djebel Nanishimwe and in the ensuing counter, Kuerman scored. But as early as the 5th minute, Emeka Ogbuh should have scored for Rivers United when he contolled a pass well but shot wide. Two minutes later, Djabel Nanishimwe shot from distance and almost caught Sunday Rotimi off guard but the experienced keeper saved to keep the score line 0-0. Nova Baham’s free kick in the 12th got four players beating the Rivers United offside trap, but Rotimi’s presence let his side off the hook as he averted what could have been a goal. Rayon Sport continued to pile the pressure as Kwizera Pierrot in the 23rd found space to shoot from distance, but Sunday Rotimi saved to the delight of the crowd. Bolaji Sarkin again should have scored in the 25th minute when he won the ball at the edge of the penalty area and tried a shot that was saved by the goalkeeper. In the second half, Eguma brought on Godbless Asamoah for Esosa Igbinoba in the 57th minute and then Nzube Anaezemba in the 68th. In the 70th, Mousa Camara who had been silent all game long found space to score but he fumbled a cross with just the keeper, Sunday Rotimi to beat. 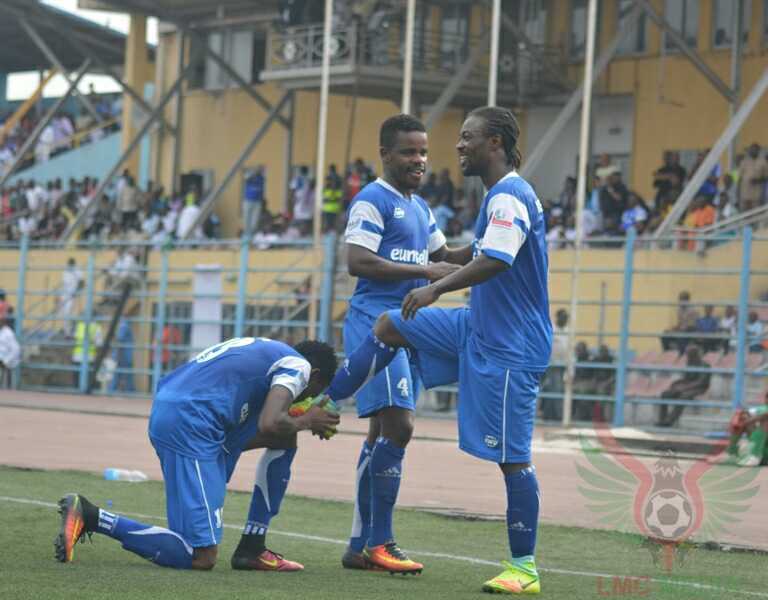 In the last five minutes of the game, Sunday Rotimi turned hero for Rivers United doing what he had done all game long, stopping the opponents from scoring once again in the 86th minute off the boots of Jideane Kone. Three minutes later, it was Guy Kuerman who could have put his side three goals up but he was absent minded with just the Rwandan goalkeeper to beat. Rivers United will take a 2-0 advantage to Rwanda hoping they don’t suffer the same fate as they did in Sudan.